Once with the Stasi, always with the Stasi? Once you were in the agent controller’s grasp you could never escape – that’s what they say, anyway. 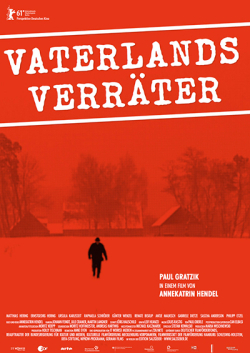 Writer Paul Gratzik was an unofficial informer for the GDR State Security Service for twenty years, broke with them in the 80’s and exposed his identity. ‘Vaterlandsverraeter’ (‘Traitors to the Fatherland’) is a portrait of an exceptional man whose tumultuous life was propelled to extremes. Now more than 20 years after the end of the GDR, this is a story that was never told before.